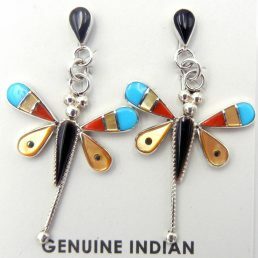 Native American Jewelry at Palms Trading Co.
Home / Native American Jewelry at Palms Trading Co. 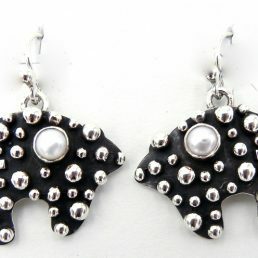 The diversity and richness of Southwestern culture is evident in Native American Indian jewelry. 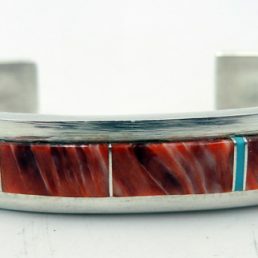 While the styles and stones used by each pueblo vary, the beauty and skilled craftsmanship required to create each piece does not. Our knowledgeable staff can help you see the characteristic styles and materials of each pueblo as well as appreciate the technique and skill required to craft each piece. 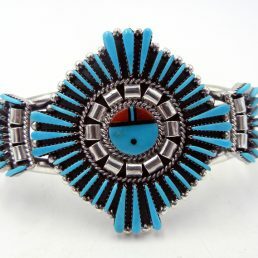 Native American Indian artists take pride in their work and use only the finest materials available to create their jewelry. 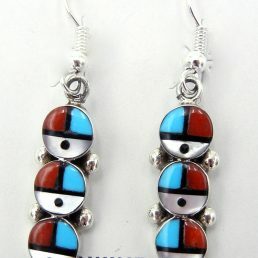 The Native American Indian jewelry available on our website is all handmade by Native American Indian artists. As a result, each piece is unique; you won’t find another like it online, in our store or anywhere else. 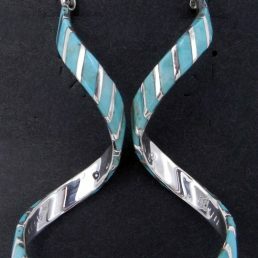 Each piece of Native American Indian silver jewelry Palms Trading Company carries in the store or online is sterling silver. 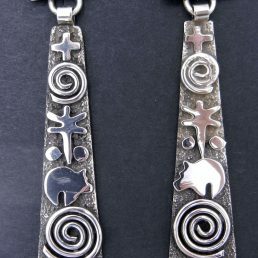 Currently, Joseph Coriz, a Santo Domingo artist, is one of the only jewelry makers who uses a precious metal other than silver. 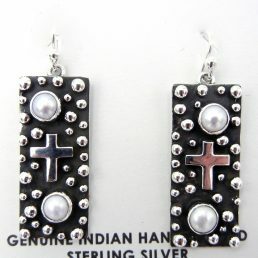 Some of his pieces are sterling silver with a 14-karat gold overlay. 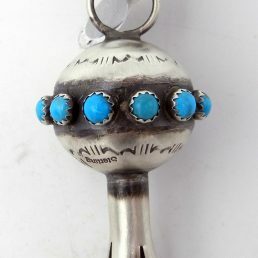 The most common stone used in southwestern Native American Indian jewelry is turquoise, but other stones like spiny oyster, mother of pearl, coral and lapis are often used in jewelry making. 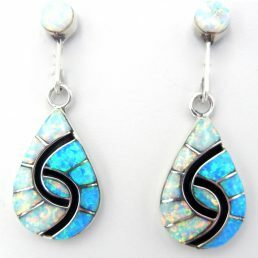 Most beads and gem stones are genuine, with the exception of lab-created opal stones. Because our jewelry is created by contemporary southwestern artists, our collection often reflects the latest jewelry trends. However, many of the pieces we carry still echo centuries old traditions and symbols, making our inventory not only fashionable, but suited to appeal to various tastes and styles. If you don’t find anything in our online jewelry selection that strikes your fancy, you may peruse our entire in-store collection with the help of our personal shopper service. Call us or contact us online to get started!